Pete North Politics Blog: "More freedom, more influence, and more support for its views"
"More freedom, more influence, and more support for its views"
Writing in Splash 24, a maritime trade journal, regulatory expert Clay Maitland has some interesting Brexit observations that regular readers will chime with. 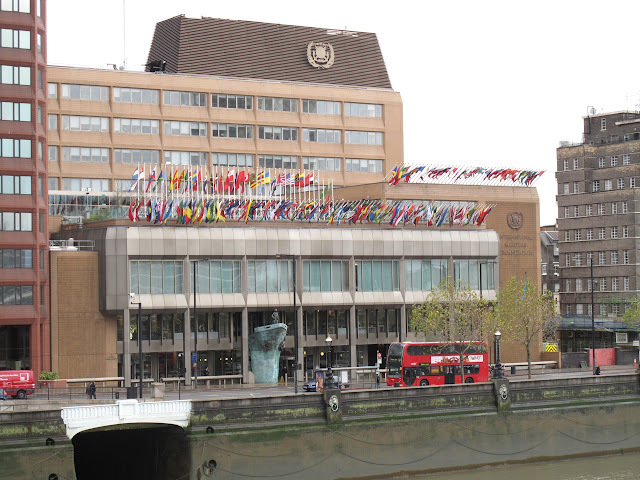 For those with maritime interests, what happens at the International Maritime Organization, (it favours the American spelling) has relevance, significance, and – in this case – immediacy. The EU has in recent years attempted to enforce group discipline, under which all EU member states hew to the Brussels party line. This has importance in two areas: decisions made at meetings of the IMO Council, its supreme chamber, and informally, in the give-and-take of consensus. The United Kingdom (or whatever it may decide to call itself in future) has a more or less automatic elected seat on the council, which, I think, it is in no real danger of losing. But now that it is (note that, yes, I say ‘is’) free of the formal need to consult, and certainly obey, Brussels, there will be a subtle but big change in how decisions are reached, and what those decisions might be. The second consequence is the reverse: Brussels (or rather Paris-Berlin) will no longer be obliged to consult, and often conform, to the views of Whitehall, and the City of London, as it did until last Thursday. No doubt the EU shipping policy directorate will, this week, be going over what pages to tear out of their briefing books. Then there’s Greece, and particularly the influential Union of Greek Shipowners and its friend and neighbour, the (London) Greek Shipping Cooperation Committee. The Greek shipping community, and successive Greek governments, have always chafed under the policy whip of Brussels, which to most Greeks translates as ‘Berlin’. While Greece remains a member of the EU, the departure of the UK will be a powerful incentive to reject Brussels’ maritime diktats, at least those it doesn’t like. Greek governments will have noted the fact that the British ministry of transport will be now be more welcoming to their sometimes nonconformist views on maritime regulation. The converse is also true. Overall, there will be a paradox: Brussels’ control of a one-size-fits-all policy on maritime policy, at least at IMO, will be considerably diminished, within the bloc itself. Countries like the Netherlands and Denmark, though still charter signatories of the Rome and Maastricht treaties, have powerful maritime, banking and insurance interests. They, along with Greece, are likely to form an influential counterweight to Brussels. And they, after all, are still inside the tent. So what we are now likely to see, ironically, is a more diminished Britain, except at IMO, where it will have more freedom, more influence, and more support for its views on maritime policy than it has in recent years. Surprise! Except of course what Clay Maitland has probably not clocked by way of deformation professionelle is the fact that the IMO is not the only International Organisation where we are under the whip of the EU. There's the WTO, ITU, UNECE, Codex, ILO, FAO and ISO etc. And so if his analysis of the UKs position in the IMO is correct, and I believe it is, then it follows that the UK will have "more freedom, more influence, and more support for its views" elsewhere in trade and regulation. By that token it seems the only institution where we are actually weaker is in the European Union. Meh! Yes, we need to "take back control"
Finger-wagging remainers can shove it.